Besoin de plus d'informations sur la réservation du logement 293544 ? La meilleure façon de se déplacer est d'utiliser une voiture de location ou si vous préférez par Uber. L'utilisation des vélos publics que nous offrons à tous nos clients est également une option. Si vous n'avez jamais utilisé UBER auparavant, essayez l'application en utilisant notre lien d'invitation et obtenez votre premier tour gratuit! Nous demandons à tous nos clients d'être conscient et prudent lorsque vous utilisez des lotions autobronzantes comme ces lotions sont généralement orange et permanente brûlent / serviettes de ruine, linge de maison et peuvent aussi détruire des canapés et des chaises. Si l'un des éléments ci-dessus mention sont endommagés, nous aurons pas d'autre choix que de les remplacer en utilisant le dépôt de garantie. We came back from Paradisus Laguna a week ago and have missed it ever since. The apartment is spacious, modern and extremely well equipped. We travelled with our 7 and 5 year old boys who loved spending time in the pool, which has a large shallow area as well as a very deep section. We spent many hours divining and snorkelling in that pool! The kitchen had every amenity you could think of. There was satellite TV with all the sports channels and we spent many evenings sitting on the lovely rattan sofa. There is a SPAR supermarket nearby which meant you didn't have to bother to go into Vilamoura itself. The beach, marina and all other amenities was a 5 minute car journey from the apartment. We have already booked another holiday at Paradisus Laguna for 2017! Thank you Miguel for your very responsive emails. It was a pleasure to book through you and we cant wait for August 2017! I have spent 10 days in this wonderful apartment that has big rooms as well as bathrooms and leaving room. In addition there is a big and comfortable terrace where you can relax, eat or prepare a barbacue¡¡ Very good place to spent your holidays. Having just returned from a wonderful 2 week holiday at Paradisus Laguna we wanted to share our experiences of the apartment with others. The apartment is simply stunning, it has everything you could possibly need from a holiday home and more on top. The 2 bedrooms are both are a good size, the bathrooms have great showers. The kitchen is deceptively large and has everything you could possibly need to cater in the apartment. Where this property truly delivers is with the internal and external living space. We were a family of 5 and spent every moment of the day using the outside space, whether that was for breakfast, lunch or bbq's for dinner this apartment makes the most of the sapce. The pool is literally 10 yards from the patio so the kids can be swimming and you can sit in the sun on the outside sofa watching them whilst reading a book. We hosted a couple of bbq's where we had friends and family round and they were all amazed at the space outside. However the living room could also provide a brilliant space out of season as it has a wood burning stove etc and has cable tv and dvd player etc. I would recommend any families with young children to either hire a car or use the landline to order taxi's as the local taxi firms automatically pick up the address from the phone number. We will definitely return! I rented the house with my two daughters ages 19 and 24. We all had a great time, the home was clean, well maintained, nicely furnished and all of the necessities so we could save money and cook at home. The patio area is large with comfy couches and a beautiful large outdoor table to have breakfast, lunch and dinner. The lush green grass and bright blue pool was another perfect place for the million or so "Selfies" that my girls took. I enjoyed the quiet nights, the birds singing, leaving the back doors and windows open with a cool breeze while I read my book. My girls really enjoyed the pool, beaches, marina, and we all enjoyed the shopping and night life :D We will be back again next year, so much more of beautiful historic Portugal for us to explore. Lovely apartment, really well equipped and comfortable with a lovely indoor and outdoor 'lounge' and all on ground floor so just a few feet to the quiet shared swimming pool. Pool is small but perfectly adequate for a quick swim and the small garden is quiet and clean. Beds are comfortable and air conditioning is in every room. Miguel, our contact, was nothing short of excellent in his support. The walk to the marina/town however is quite a trek (at least 40 mins in the heat) so be prepared to either hire a car or, as we did, just taxi in and out which will cost about 8-10 euros each way (still easier and cheaper than hiring a car) and the taxi company get to know where you are. Perfect for a quiet family or couples holiday in a well-equipped and comfortable apartment but with access to the busy marina if you want it. Lovely! Can't wait to go again. 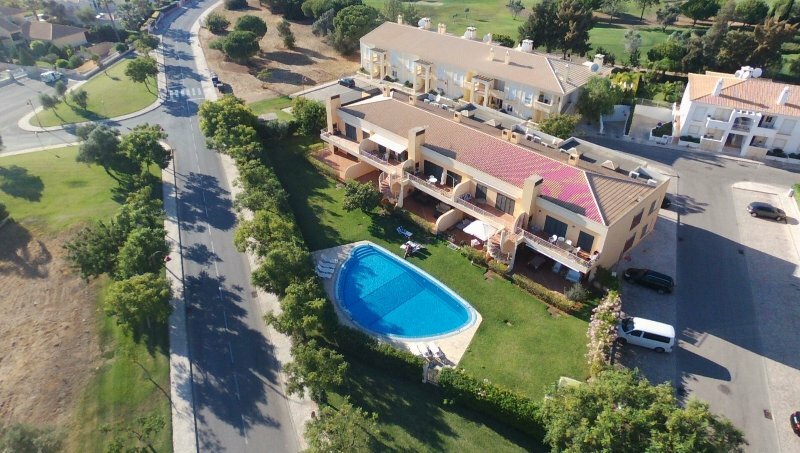 The Paradisus Laguna apartments are a quiet, two storey complex located on the Millenium golf course, 5 mins by car from Vilamoura marina. Our two bedroom, ground floor apartment was ideally located, with the shared pool just outside our terrace, but kept private with a hedge. The rooms were spacious and well air conditioned, and the terrace very large with a dining area (and BBQ), large sofa seating area and sunloungers. The bathrooms and kitchen were extremely well equipped, with plenty of towels, including pool towels. There is very efficient WiFi and TV (Portuguese channels and payable sports only from what I can gather), although there was no time for TV, as there is so much to do in the surrounding area. There are some fantastic bars and restaurants in the marina and the local area, plenty of beaches and coves worth a visit, waterparks and boat excursions. We come to Vilamoura every year and this is by far the nicest apartment/best location we have stayed in - ideal for a family of four. Bicycle hire is available close by (similar rental system to the Boris bikes in London! ), but I would recommend hiring a car to get the best out of the area. Wonderful, very spacious apartment ,modern very clean bathrooms wonderful showers,fantastic aircon ,pool very inviting, everything you could need for self catering is here everything is brand new , owner very helpful with any questions you need answers to , only problem we found was that in all honesty its not near anything, apart from the golf courses that is, it is more like 30mins walk to beach/marina/supermarkets so a little too far in that heat and also quite a remote road from here to the main road to villamora , so a car is a must really as it will be 10 euros for a cab one way , also we found that the cabs had trouble finding the apartment when called , also just a small detail that the owner said he will remedy soon is that there were only two sunbeds, so in all a great place for a very quiet break away,teenagers will need more to do than stay here unless its peace and quiet they want too. Wont say anything about marina etc as its all there and much fun can be had by all , just stay away from the Liana boat trip its overbooked and most of the boat seating is inside very cramped and was more like a very cheap ferry ,they also say dolphins can be seen but the last time anyone did on that boat was years ago , they dont go far enough out to sea for that so dont be fooled, your better off doing the Excite dolphin safari really good fun and defo worth it wonderful seeing them in the sea . Vous pouvez prendre contact avec Paradisus (le propriétaire) grâce au formulaire de contact sur cette page. Envoyez un email à Paradisus (le propriétaire) à l'aide du formulaire de contact situé sur cette page. S'il y a un numéro de téléphone sur l'annonce, vous pouvez également contacter le propriétaire directement. Comment contacter Paradisus (le propriétaire) ? Vous pouvez prendre contact avec Paradisus (le propriétaire) grâce au formulaire Contacter le propriétaire sur cette page, pour obtenir un devis ou poser vos questions. Si vous utilisez le formulaire Réserver pour verser un paiement provisoire en ligne et envoyer une demande de réservation à Paradisus (le propriétaire), le propriétaire a 24h pour vous faire savoir s'il accepte votre réservation, auquel cas votre compte sera débité du montant prévu. Vous pouvez demander un devis à Paradisus (le propriétaire) grâce au formulaire de contact. 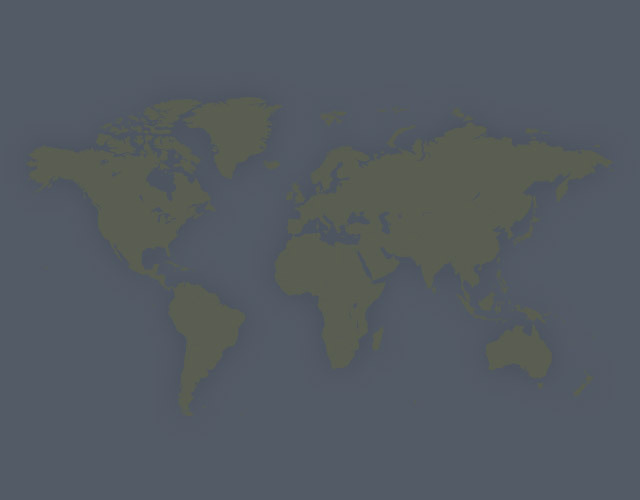 Le propriétaire vous enverra le prix total pour les dates qui vous intéressent et un lien pour réserver en ligne. Pourquoi ne puis-je pas téléphoner à Paradisus (le propriétaire) avant d'avoir réservé ? Vous devrez contacter Paradisus (le propriétaire). Envoyez un message sous la rubrique Gérer vos réservations ou par le biais du formulaire de contact sur l'annonce. Pour modifier les dates ou le nombre de personnes de votre réservation, vous pouvez envoyer une demande depuis la page Gérer mes réservations. Pour modifier les dates de votre séjour, cliquez sur Modifier la réservation. Pour modifier le nombre de locataires, envoyez un message au Paradisus (le propriétaire). Si Paradisus (le propriétaire) est d'accord, il vous enverra un nouveau devis correspondant aux modifications. Vous pouvez le consulter et l'accepter ou le refuser depuis la page Gérer mes réservations de vacances. Vous aurez 48 heures pour agir avant que le devis arrive à expiration.